Arctic sea ice continues to rise past the normal peak date | Wott's Up With That? “Arctic sea ice continues to rise past the normal peak date“. Anthony Watts steps in for Steven Goddard to make irrational statements about Arctic sea ice extent. It’s still increasing, as it obviously does each winter, but it’s now risen to just within two standard deviations of the “normal” extent! This proves that everything will be fine. 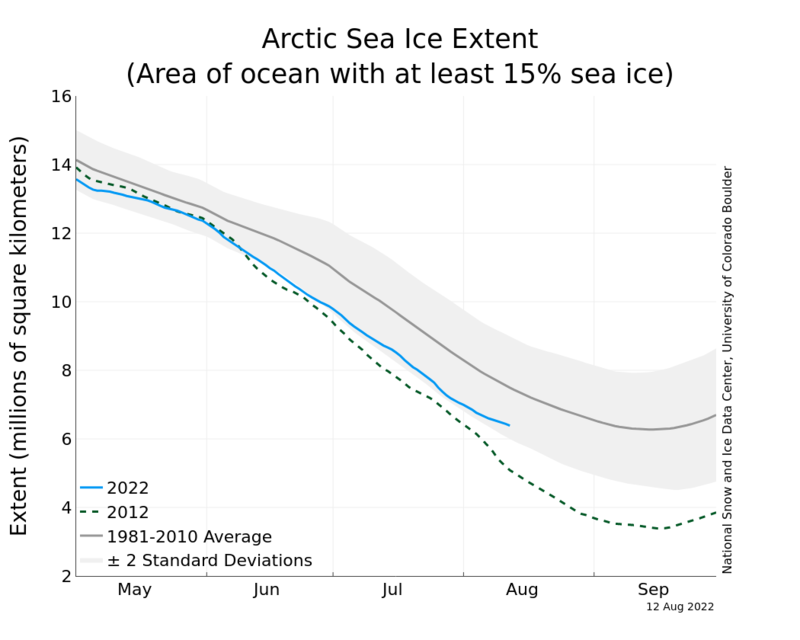 The Arctic Sea Ice Extent isn't nearly as far below normal as its been! Talk of Arctic sea ice volume is curiously absent from Anthony’s post. I wonder why.